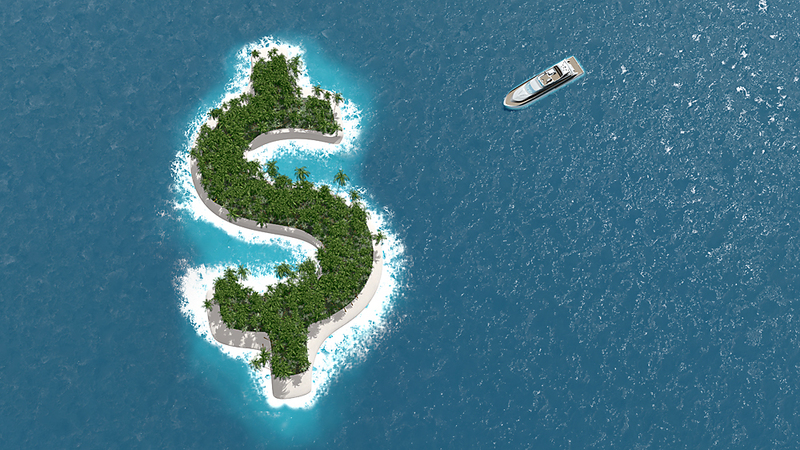 Russian entrepreneurs have decided to bring their money back home from offshore havens. Statistics show that the largest amounts have returned to Russia from the Bahamas, the British Virgin Islands and Bermuda. Additionally, $1 billion or more has entered Russia from such countries as Germany, France and the UK. According to statistics from 2015, the largest “direct investments” came into Russia from the Bahamas ($5.23 billion), followed by the British Virgin Islands ($2.5 billion), Bermuda ($1.9 billion) and France and Germany ($1.634 and $1.42 billion respectively). The figures were released by the Russian Central Bank at the end of May 2016. However, these sums are not coming from mythical foreign investors that have suddenly decided to pour money into Russia. This is money from Russian companies that is returning home from abroad, primarily from offshore financial centers. According to Central Bank data, the flow of funds from these offshore zones into Russia has been on the rise over the past two years. For instance, in 2015 alone funds entering Russia from the Bahamas grew by 43 percent. Russian companies are closing down their offshore outfits, according to an official from the Ministry of Finance cited in the Vedomosti business newspaper. The drive to repatriate funds belonging to large Russian businesses is the result of an active campaign against offshore havens that Russia has been pursuing for the past two years, the paper adds. In May 2015, the authorities announced a so-called “offshore amnesty” on companies that had not paid taxes and that allowed the legalization of capital that had earlier been taken out of the country. Furthermore, in some cases these transactions may even be exempt from taxes. Russian businesses were also prompted to take their money out of offshore zones by the introduction of tighter regulations by Western countries. These regulations were enacted to ensure better control over all financial operations, including those undertaken in offshore capitals. “Together with other countries, Russia has agreed to begin implementing international requirements in 2018 for financial transparency and automatic data exchange on tax matters, which has complicated the use of offshores considerably,” says Stanislav Verner, vice president of the IFC Financial Center. These efforts have borne some fruit. In December 2015, the parent company of billionaire Gennady Timchenko’s Volga Group was registered in Russia, although previously his assets had been listed in Cyprus and Luxembourg. In late 2014, billionaire Alisher Usmanov’s parent company underwent restructuring. As a result controlling stakes in the mobile operator Megafon and the firm Metalloinvest were transferred to Russian entities.